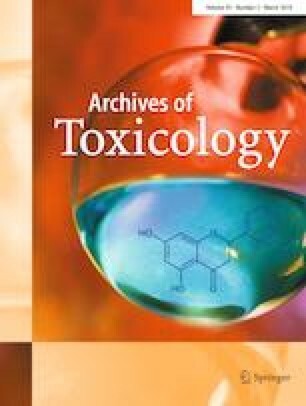 Ochratoxin A (OTA) is reported to induce nephrotoxicity and immunotoxicity in animals and humans. However, the underlying mechanism and the effects of OTA on DNA damage have not been reported until now. The present study aims to investigate OTA-induced cytotoxicity and DNA damage and the underlying mechanism in PK15 cells and PAMs. The results showed that OTA at 2.0–8.0 µg/mL for 24 h induced cytotoxicity and DNA damage in PK15 cells and PAMs as demonstrated by decreasing cell viabilities and mRNA levels of DNA repair genes (OGG1, NEIL1 and NEIL3), increasing LDH release, Annexin V staining cells, apoptotic nuclei and the accumulation of γ-H2AX foci. OTA at 2.0–8.0 µg/mL increased DNMT1 and SOCS3 mRNA expressions about 2–4 fold in PK15 cells or 1.3–2 fold in PAMs. OTA at 2.0–8.0 µg/mL increased DNMT1, SOCS3, JAK2 and STAT3 protein expressions in PK15 cells or PAMs. DNMT inhibitor (5-Aza-2-dc), promoted SOCS3 expression, inhibited JAK2 and STAT3 expression, alleviated cytotoxicity, apoptosis and DNA damage induced by OTA at 4.0 µg/mL in PK15 cells. While, in PAMs, 5-Aza-2-dc had no effects on SOCS3 expression induced by OTA at 4.0 µg/mL, but inhibited JAK2 and STAT3 expression, and alleviated cytotoxicity, apoptosis and DNA damage induced by OTA. JAK inhibitor (AG490) or STAT3-siRNA alleviated OTA-induced cytotoxicity and DNA damage in PK15 cells or PAMs. Taken together, nephrotoxicity instead of immunotoxicity of OTA is induced by targeting SOCS3 through DNMT1-mediated JAK2/STAT3 signaling pathway. These results provide a scientific and new explanation of the underlying mechanism of OTA-induced nephrotoxicity and immunotoxicity. This study was funded by the Natural Science Foundation of Jiangsu Province (BK20160736), National Natural Science Foundation of China (31602123, 31772811), and the Priority Academic Program Development of Jiangsu Higher Education Institutions (Jiangsu, China). Study concept and design: KH. Acquisition of data: FG, XZ, ZJ, LH, KH. Analysis and interpretation of data: FG, XZ, ZJ, XC, CP. Drafting of the manuscript: FG, KH. Critical revision of the manuscript for important intellectual content: KH, FG. Statistical analysis: FG, KH. Obtained funding: KH and FG. All authors read and approved the final manuscript. We do not have any commercial associations that might create a conflict of interest in connection with this article.